Correct the Condition and Restore the Skin - Naturally. 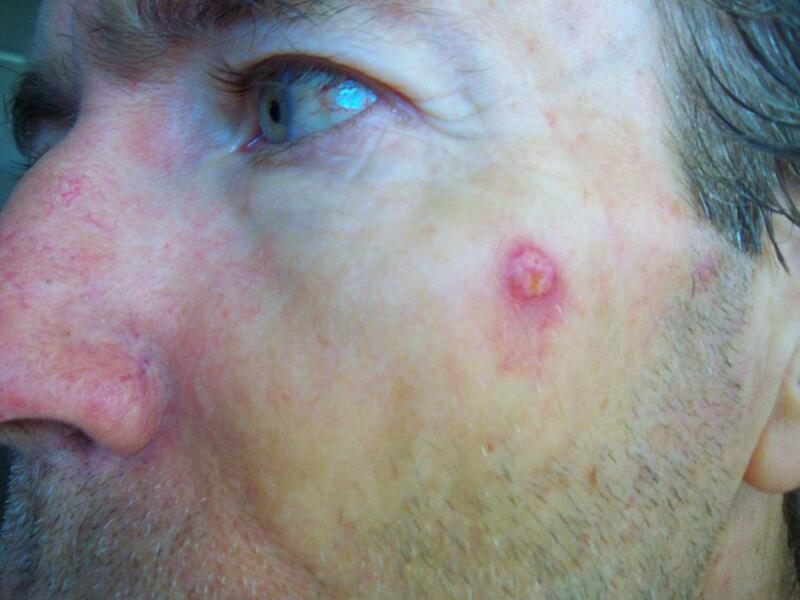 Testimonies include Basal Cell Carcinoma, Squamous Cell Carcinoma, Actinic Keratosis, Moles, Warts, and Skin Tags. An All Natural Ointment to Correct Abnormal Skin Growths*. Perrin's Blend is a simple, all natural, antioxidant, grape seed extract ointment for Skin Lesions, Actinic Keratosis, and other Abnormal Skin Growth. Ingredients: Pure Honey, Grape Seed Extract, Ascorbic Acid (vitamin C), Natural Vitamin E, NAC (N-AcetylCysteine), Grape Seed Oil, Alpha Lipoic Acid. 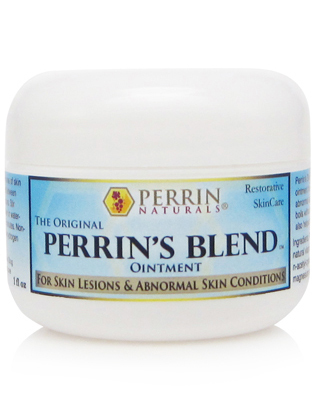 Perrin’s Blend™ is a thick, sticky, burgundy colored ointment used to correct specific spots of abnormal skin growth. 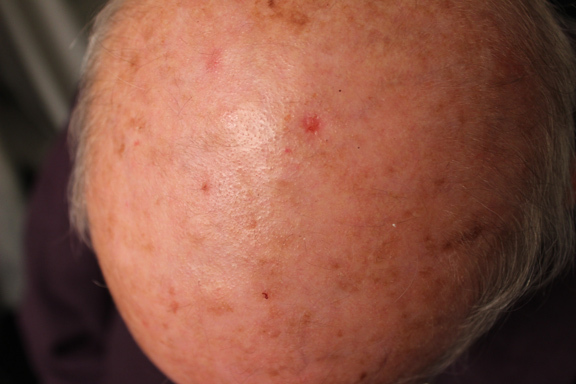 Most customer testimonies concerning actinic keratosis and skin lesions involve the Perrin’s Blend™, but many customers use Perrin’s Blend in conjunction with the Crème Complete™. Grape Seed Extract contains an array of polyphenols that promote healthy cell growth. These polyphenols also help to inhibit the growth and encourage the apoptosis (a dying off) of abnormal cells. Ascorbic Acid - Vitamin C - is an antibacterial, antiviral, antioxidant that promotes the growth of normal skin. N-Acetyl Cysteine is an amino acid derivative that helps to block the development of abnormal cells. Alpha Lipoic Acid is a powerful antioxidant that helps to prevent aging, and reduce inflammation associated with free-radical damage. D Alpha tocopherol - Vitamin E - is an antioxidant that is needed for healthy skin growth. It is important to follow the directions as closely as possible and be diligent with the application. Apply Perrin’s Blend on the designated area and cover with a bandage. Do not wash off. When bathing keep the affected area covered. After bathing, reapply Perrin’s Blend and cover with a new bandage. Perrin’s Blend can be applied daily or as often as desired. We recommend applying at least twice daily. Separation will probably occur so it may be necessary to stir occasionally. It is also helpful to take grape seed extract supplements. About Bandaging and Washing Off: We have seen the best results when the place being treated is in constant contact with Perrin's Blend, 24 hours a day. That usually means covering the area with a bandage to prevent the ointment from being rubbed off. We have also seen better results when the place remains covered when bathing to prevent a deep cleaning of the area, resulting in all the ointment being washed off on a microscopic level. We recommend changing the bandage after bathing and applying a new application of Perrin's Blend to avoid having a wet bandage on your skin. Blister Band-aids are a good option as they are waterproof and do not need to be changed as often. Keep in mind that this is the optimal approach. The area will need to be washed off periodically to prevent a build up of adhesive and for general sanitation purposes. If a growth is on a person's face then it may not be necessary to cover the area since the Perrin's Blend would probably not be rubbed off as easily as it would be on other areas of the body. If thickening occurs, thin with pure honey. What sometimes occurs: If a lesion is raised or nodular, the top layer of skin may die off leaving an open sore that may drain fluid. The fluid will then bond with the Perrin’s Blend™ to form a deep burgundy colored scab. That scab may eventually come off and another one may form. 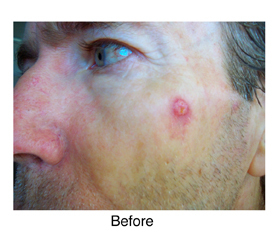 This process often repeat itself until new, more normal and healthy skin is formed. The pictures below document this process. 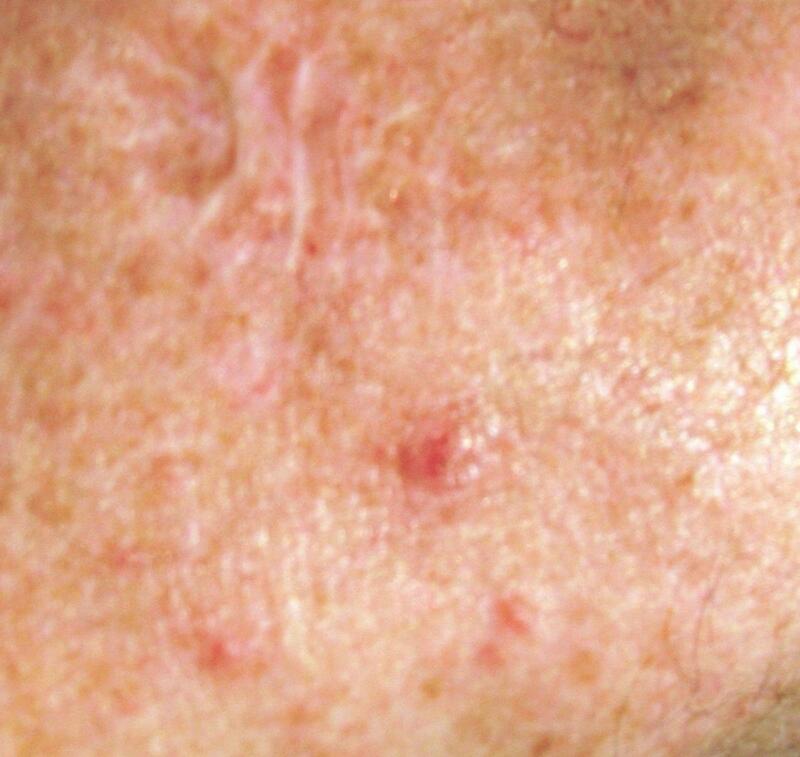 Notice that places around the lesion also become reddened and inflamed. 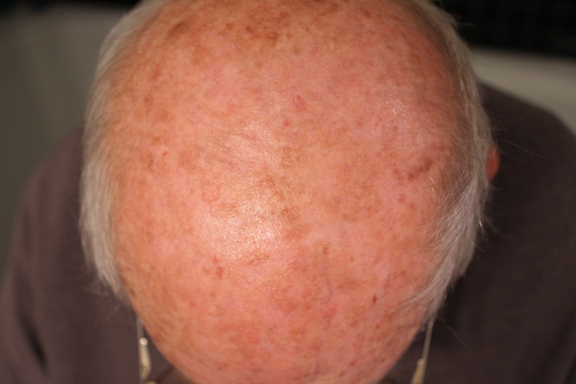 Those areas were probably sun-damaged tissue responding to Perrin’s Blend™. This process occurred over a 3 month period, which is a little longer than normal. Sometimes there can be a response within a few days and other times it can take several months to remove an abnormal skin growth, and of course there are times when a growth just doesn’t respond to Perrin’s Blend. There has been no reoccurrence of the skin growth. The lesion was never diagnosed by a medical professional. 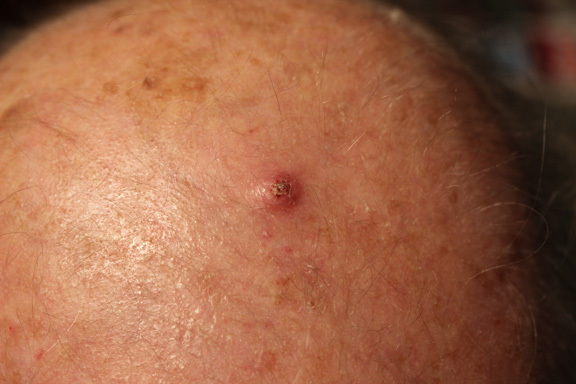 The person has a history of Actinic Keratosis and Squamous Cell Carcinoma. Sometimes the Perrin's Blend is used in conjunction with the Creme Complete. A multi-faceted approach to skin rejuvenation, restoration, and protection. Because Perrin's Blend usually needs to be covered with a bandage, the Crème Complete is sometimes used during the day and the Perrin’s Blend is used at night. The Crème Complete is corrective cream, light yellow in color. Unlike the Perrin’s Blend, the Crème Complete is spreadable. With extended use of the Crème Complete we have seen abnormal skin tissue and discolored sun-damaged areas such as actinic keratosis and age spots peel away and return to healthy, normal looking skin. It has also had an extremely positive effect on Lichen Sclerosus. 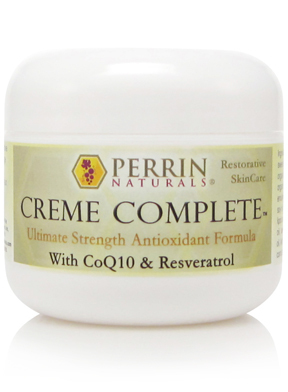 The Crème Complete is less concentrated than the Perrin's Blend and may take longer to work. Often Crème Complete will be used in conjunction with Perrin's Blend, if Perrin's Blend cannot be used throughout the day. For example, if a lesion is in a noticeable area and a person doesn't want to wear a bandage in public, then they will use the Perrin's Blend at night or when at home, and the Crème Complete during the day or when in public. 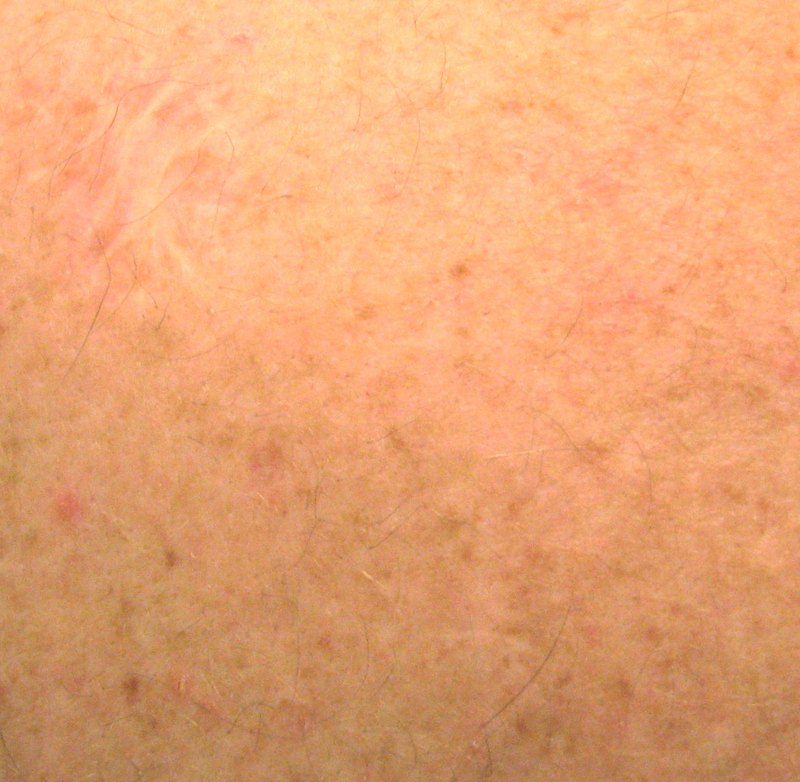 An Abnormal Skin Lesion, from Barbara in Massachusetts. Used your Perrins Blend on my wife's non-healing scab on her nose. Applied the ointment daily for 7 days. 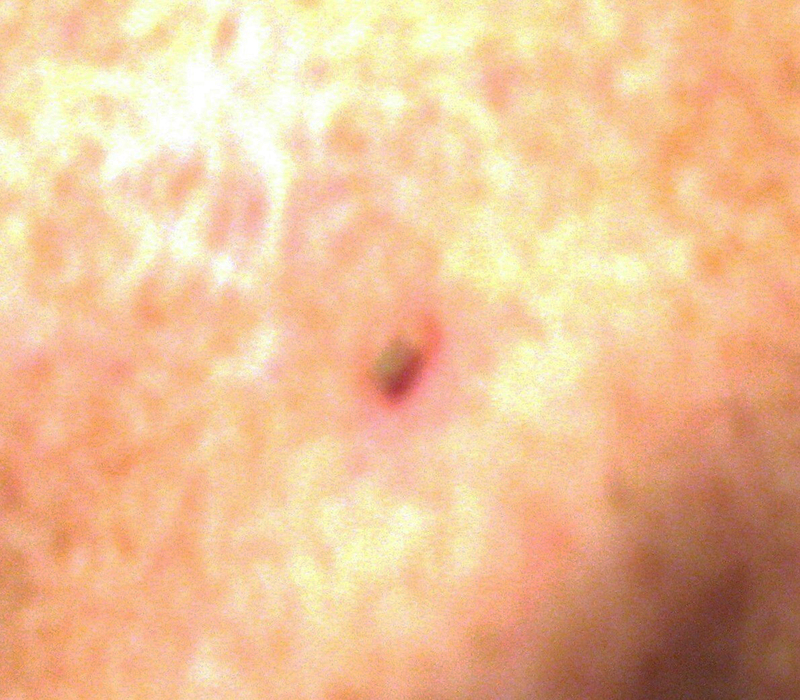 The scab, about the size of a BB, fell off. WHAT A WONDERFUL PRODUCT! 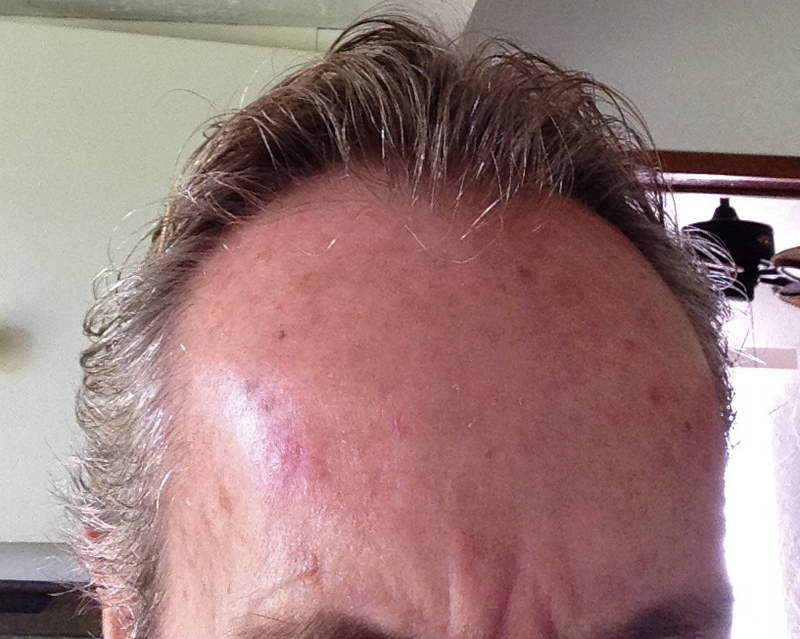 For 12 years I had a quarter sized “keratoma” in the hairline just above my forehead. No Dr would touch it, usually stating “more trouble than it’s worth to remove it”. Then I had chemotherapy and lost all my hair. I HATED that huge bump more than ever, so I searched out a treatment. I have used Perrin’s blend for 3 days. The bump is now about DIME-SIZED and almost flat. I know it will be gone soon. I am in awe of the product. 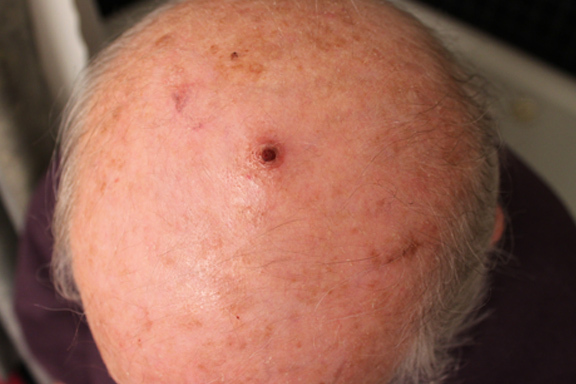 Skin Lesion, From Bernard Illinois. I started using your blend for a skin lesion (possibly melanoma) some months ago and am finally getting back to you. I had the lesion on my left shoulder and it was about the size of one half a lead pencil erasor. After using Perrin's Blend for about 8-9 weeks I stopped for a week and after just 2 more weeks, it came off in the shower and has not come back. 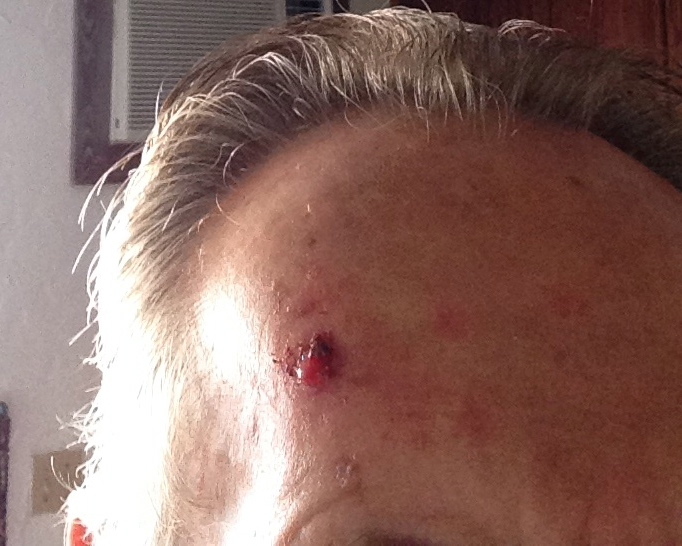 Cyst, From Ann in Tennessee. 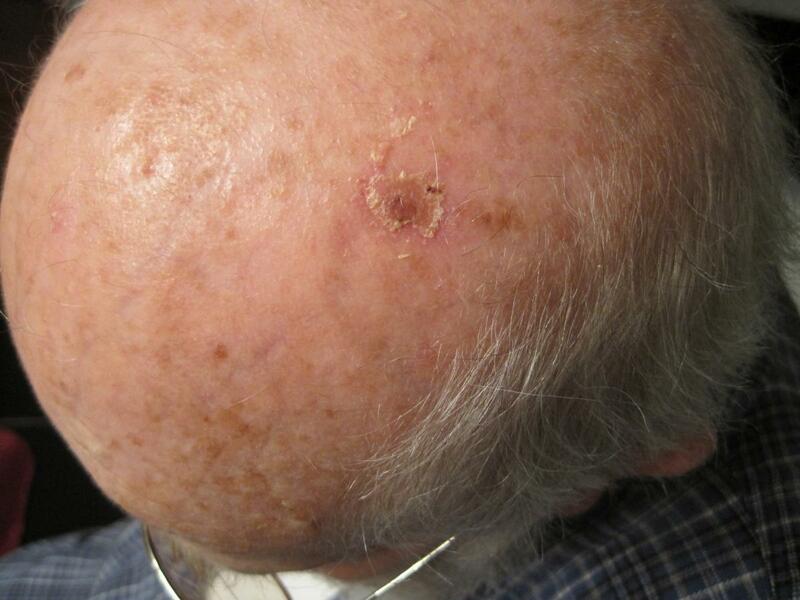 Skin Lesion involving the Perrin’s Blend, from Sandra in Texas. I had a small bump that appeared under my eye about the size of a pencil lead. It was not that noticeable but I was bothered by it. I wanted to see if it would go away on its own so I did not do anything to it for about a month. When It seemed like it was not going to go away I thought I would try your product. I placed a small amount on the spot. I did not cover it with a band aid but kept reapplying your treatment throughout the day when it seemed to have rubbed off. So I just walked around with a tiny red dot under my eye. No one said anything and no one seemed to notice. The bump slowly began to shrink. 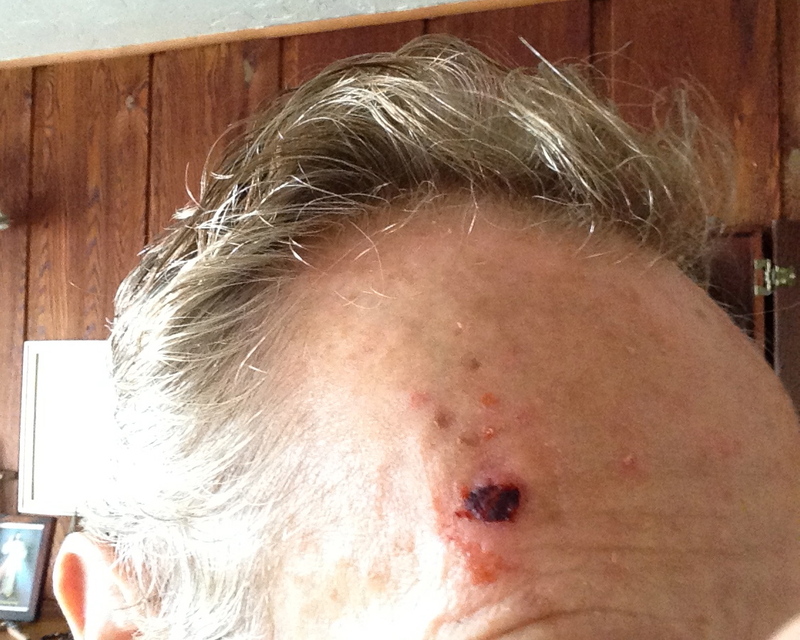 Just a short message to let you know I used Perrin's Blend Antioxidant Skin Care on a mole on my neck. Within a week it was totally gone. Can I use Perrin's Blend™ on large areas? Perrin's Blend is a thick, sticky, honey based ointment. It is not a cream. It is more of a paste. It is not easily spread over large areas, but a person can do so if he/she is determined to do so. It is also burgundy in color due to the grape seed extract which means it can permanently stain clothes, bed linens, etc. so we recommend covering the area with a bandage if staining a fabric is a concern to you. If you want a spreadble version of Perrin's Blend consider using the Cool Cleanse. Can the Perrin's Blend™ be used around the eyes? Yes. The Perrin's Blend can be used around the eyes. We do not recommend getting the Perrin's Blend directly in the eye because it is a thick, sticky, and sometimes slightly gritty ointment. Please avoid getting Perrin's Blend directly in the eye. Do I have to keep the lesion covered? As mentioned above, Perrin's Blend is a sticky honey based ointment and burgundy in color due to the grape seed extract which means it will stain clothes. Even though we have seen positive results with sporadic application, the best results come when the lesion is in constant contact the Perrin's Blend. That also means leaving the bandage on during a bath, then not washing it off before reapplying. Most of the time the lesion needs to be covered to prevent the Perrin's Blend from being rubbed off. If the place is on your face (where there is less of a chance of the ointment being rubbed off) and you do not mind the appearance of the ointment, then there may not be as much of a reason to keep the area covered, and you can (if needed) keep reapplying during the day. Why is Perrin's Blend™ so thick? Perrin's Blend is a high concentration of antioxidants in a base of raw honey, and honey thickens naturally. We could add more honey which would help with the thickness but that would weaken the formula, so we have chosen not to do this. The ointment seems to work better when it is so thick it actually has to be pressed onto the area being treated. Once it makes contact on the skin your body temperature will start to slightly melt the honey, making it softer. 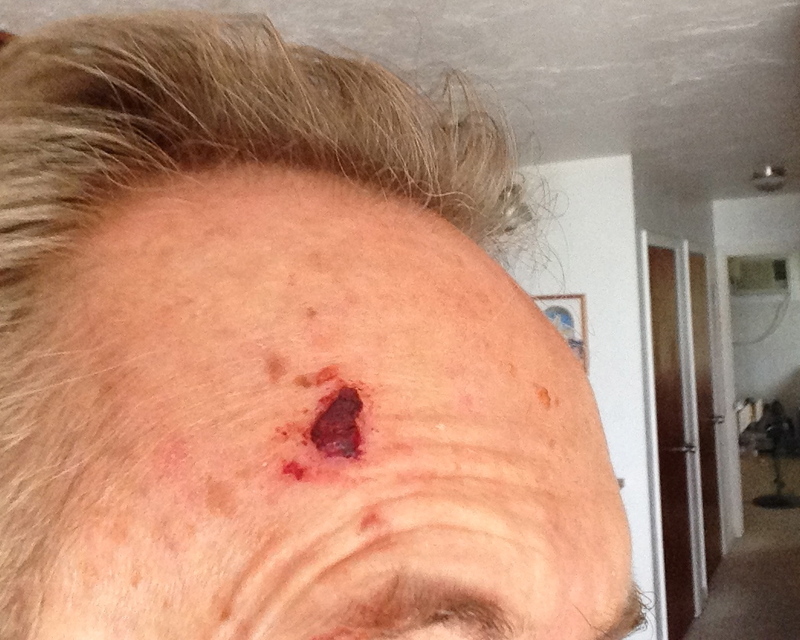 A thicker product runs less, which helps it to stay in place until a bandage can be placed over the area. If the thickness poses a real problem to you then you can thin the product with pure honey. Some people choose to do this. Another option is to add a few drops of pure aloe vera, the liquid form you would find at a health food store. If you do this, we recommend you do it in a separate container and not contaminate the whole jar of Perrin's Blend. What should I use to apply Perrin’s Blend™? First, never use a cotton-tipped applicator. Cotton fibers will stick to the ointment. If you prefer not to use your finger, choose a firm applicator; a wooden paddle or spoon handle is fine. If Perrin’s Blend™ is sticking to the applicator you may want to slightly oil the applicator before applying. We cannot make claims that our products will work for everyone. We relay the testimonies given to us by those who have had success with our products to our customers and those interested in using our products. Results vary and so does the diligence and consistency of application of the customer, but we have see more positive results than we ever imagined. We rarely get a return based on the product not working. Our product return rate is less that 1%. We do give refunds and exchanges to unsatisfied customers if the reason for the refund is reasonable. 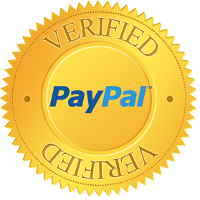 We do not give refunds after 90 days for credit card transactions, and we cannot give refunds after 60 days for purchases made through PayPal. We do not refund postage. We do require that you send the unused portion back to us. Please understand before ordering that Perrin’s Blend™ is a thick, sticky, honey based, burgundy colored ointment that can stain clothes. Please know that before opening the container it can be messy to use. Also understand that results don’t usually occur in the first week. 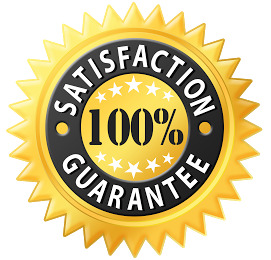 Sometimes we receive a testimony of a skin disorder or abnormal growth being corrected within the first 10 days of application but most of the testimonials of successful results usually involve 3-6 weeks of diligent use. Some results have taken even longer as can be read in some of the testimonials posted on the our web site. 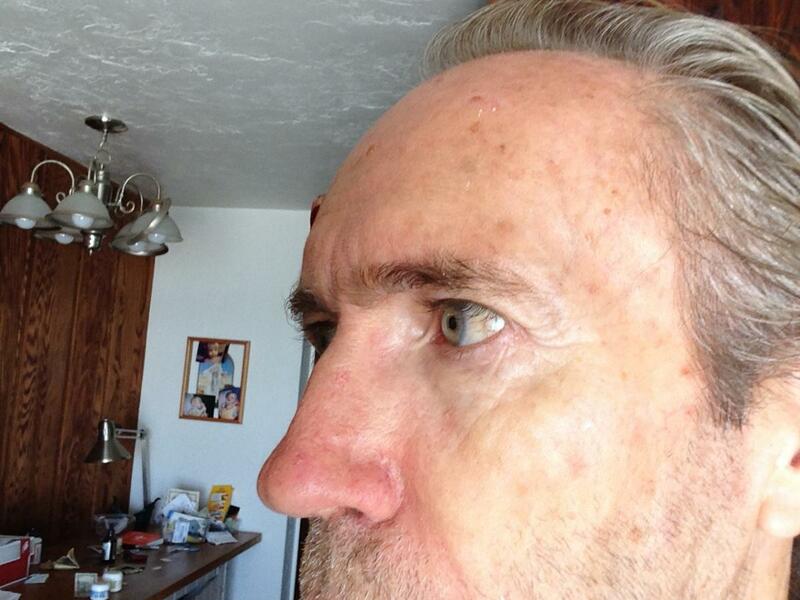 Sun Damage usually responds favorably to Perrin's Blend and also the Creme Complete. 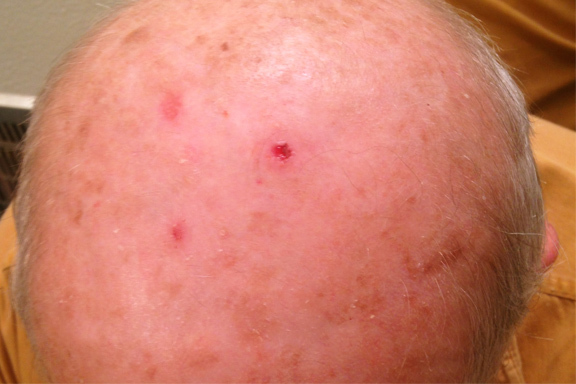 Seborrheic Keratosis lesions can be stubborn and can take several weeks to remove. 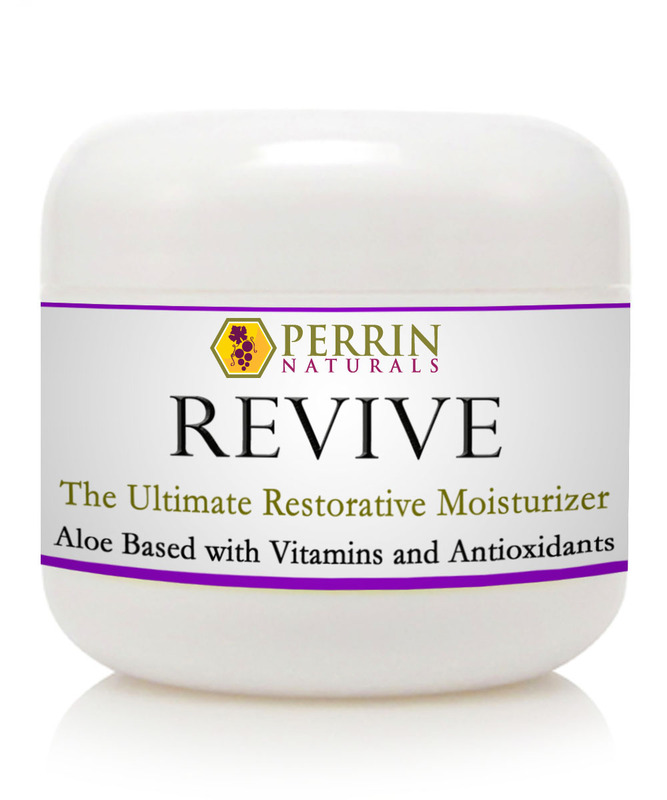 Is Perrin's Blend™ like Black Salve? No, it isn't. Black Salve can be extremely invasive and painful, and can leave scars. There is no ingredient in Perrin's Blend that is similar to blood root, the main ingredient in black salve. In fact every ingredient in Perrin’s Blend can be bought at a health food store and taken internally. 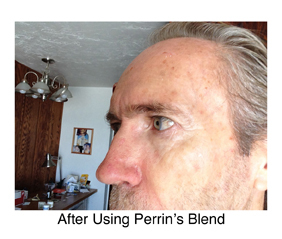 Perrin's Blend is non-invasive, relatively painless, and most of the time leaves no scars. Sometimes there can be inflammation (redness and itching) associated with using Perrin's Blend but many times this is an indication that the place is responding to the Perrin’s Blend. In the case of Lichen Sclerosis, because of the sensitivity of this condition, many times there is burning sensation if the skin is raw and open. How many applications in one container depend on the size on your lesion. We have recently had a health food store owner comment that "this stuff [Perrin's Blend] lasts forever". If you are treating something the size of a pencil eraser then you will probably get 75 - 100 applications out of one 1 oz. container. What are the ingredients in Perrin’s Blend? All ingredients are nontoxic and are easily found in oral supplement form. 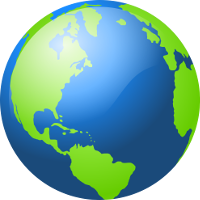 No chemicals or petroleum-based substances are ever added to any of Perrin Naturals® products. What is the shelf life of Perrin’s Blend™? We put a two-year expiration date on it, because we know customers have had successful results after having it for at least this long. Honey itself is a natural preservative. Should Perrin's Blend™ be refrigerated? No, refrigeration is not necessary, or even good for honey. Store at room temperature in a cabinet to keep it in the dark as much as possible. Keep dry and do not add water, as water can cause mold.